For accident cases including car accidents, bus accidents, trip and fall, slip and fall, medical malpractice, dog bite, and many others, our firm works on a contingency. We only earn a fee if we recover money for you for your injuries. Our fee, which is set by law, is 33 1/3% (1/3) of the recovery after expenses. For injured minors, under age 18, the fee is only 25%. 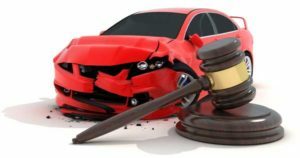 Should I sue for my injury in Small Claims court? 5. Follow your doctor advice as to caring for your injuries. Who should I talk to about my incident? Admit nothing. You might believe that the accident is your fault, but do not say this to anyone, witnesses, or the police. You should not give a statement to an insurance adjuster or sign anything from an insurance company without first speaking to an attorney. Doing so could cost you all or part of the compensation you may be entitled to.